I was intrigued by a question I was asked last week about the relationship of James and Paul. Now I know what I’ve been taught about James the brother of Jesus and St. Paul. But I also know that there is very little information in the Bible or in general about James. What we know is that he was selected to lead the church in Jerusalem after the death and resurrection of Christ. We know that he did not perceive of his work being the foundations of a brand new religion. Christianity at this time, whether it was the work of Paul or James or any other apostle, was just another faction of Judaism. Their values were not solidified into one common belief system. The apostles were still trying to figure out their theology and how to live into what they saw as a new form of Judaism. But some of them had very distinct ideas about what the followers of Christ stood for. Two of these individuals were Paul and James. Paul was not recognized as an apostle by the actual apostles themselves though we see him constantly referring to himself as one. We also get hints that he was at odds with the apostles in Jerusalem, in particular James. The original apostles believed that the message of Christ was intended for the Jews. If gentiles were going to be converting, then they needed to convert by the laws and rules of Judaism first. James informed these followers that they needed to enter into the covenantal relationship with God that all Jews participated in with the act of circumcision and then to follow the other Mosaic Laws. James believed that our actions in the world mattered very much, as we saw in last week’s scriptures. But Paul went around and preached the complete opposite to the very same people. He preached about entering into that covenantal relationship by faith. He preached that we were justified by our faith in Jesus Christ alone. The other laws didn’t matter as much to him. This caused a great disturbance for the apostles James and Peter. Peter would eventually become the bridge between the two strong personalities and opinions of Paul and James. He was like a mediator. We’ve been studying forgiveness. Yet we see such division and fractions even within the early church amongst the forefathers of the faith. It seems that there has been division when it comes to vision for tomorrow since the beginning of time. These types of divisions have been known to cause heated debates and even can go so far as to cause fractioning that lead to whole new religions and the death of others. Such divisions leave their marks; they leave people in pain and individuals who cannot even stand to be in the same room as one another for too long. I think we all have seen it, been a part of it, been in the middle of it or experienced the aftermath of such heated debates. People are called upon in these moments to pick sides. When I was in Braintree, I came into the church after just such a struggle for control had happened. It was the choir versus the young families and youth, a difficult battle to be having. The families wanted to try a newer form of music. But the choir director and the choir thought it inappropriate for worship and church and lectured them about the benefits of the old traditional hymns and even some of the ones that had fallen out of use by most churches. The result was a heated fight. People were screaming across the tables, boiling down to insults, forgetting about God in the process. It ended with the families leaving for a neighboring church. I became the voice of all the young people. I joined the choir to hear the other side of the argument. An older woman who led the battle for the choir would ask me, “Why are you young people so sensitive?” Yet even as these words were voiced, I could hear the pain in her voice eating her up inside. Eventually, she and the choir voiced their fear of losing their place in the church. Finally, there was common ground for discussion. With this admission, they could begin to heal and to heal their relationships because they could openly understand each other’s fears. This is very similar to what the earliest church forefathers were experiencing except instead of music it was about the Jewish foundations of the faith. Was faith enough to enter into a good relationship with God or did the laws that applied to all Jews now apply to all people who followed the path of Jesus? Did the resurrection count the Mosaic Law obsolete? Were people now being left behind in the face of such changes to the faith? This caused great fears and tension. What Biblical historians are now finding in recent years, is that there was intense debate and some battling between Paul and James but it seems that, before the assassination of James, he and Paul found a resting place in their argument. Historians are discovering that they never truly lost their respect for one another and in fact we see the emergence of that respect in several of Paul’s letters. Where there is still respect, then a heated debate can be accompanied by forgiveness and new beginnings. Jesus taught us to love one another even in the face of infractions and hurtful words. Paul and James worked hard to come to a resting place with their differing views of the new covenant with humanity. And yes they battled, yes that battle threatened the very young church in its infancy. But they worked to communicate with one another openly and though they disagreed they still lived that life of love which prevented the type of fractioning that we sometimes see today. We are called to put our love of God before all. We are called to take our time in arguments and debates to consider how God may be speaking to us in those moments. Then like Paul, Peter and James we might be able to find a good healthy relationship in the midst of such a debate that might end in a stronger future. Their debate started within Judaism and ended with an open, accepting and universal new beginning of a religion that none of them would live to see. Our challenge is to keep our tempers in check, to take some time to pray and use the love that we are called to live to make our decisions and shape our worlds. Remember that though we see the fighting in our scriptures from Galatians 2, we see that the outcomes reflected in Paul’s other letters reflect more of what hear from Psalm 133, “How very good and pleasant it is when kindred live together in unity”. 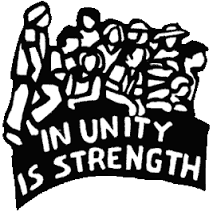 We are to work for unity in our hearts, our families, our churches, and our world even when opposing ideas and strong personalities clash in their visions. We are called to do whatever it takes to find that common ground that brings us all together united in our faith in God; placing faith first as we work for God in this world.